So I know where to change the background transparency options for the taskbar and start menu but where is the option for window borders and titlebars? 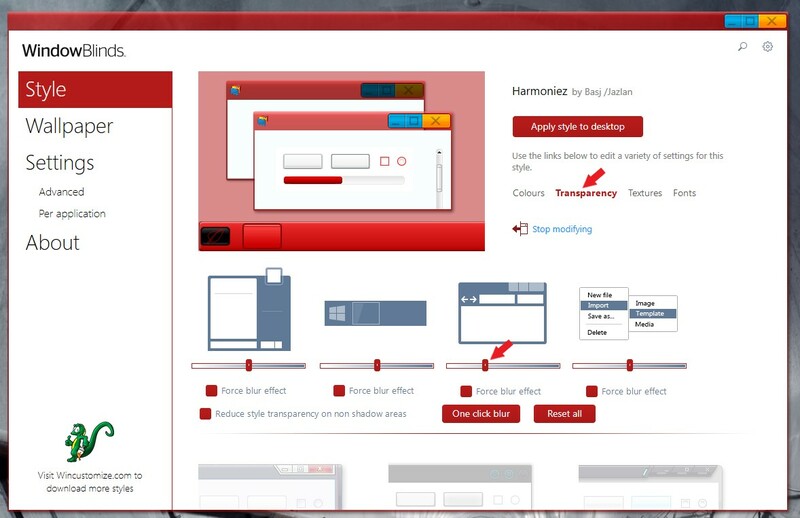 Window Frames / Per Pixel / Borders / Caption [Extra Settings]tab, scroll down to "Blur effect" and click on it, check or uncheck "Enabled" to the right. 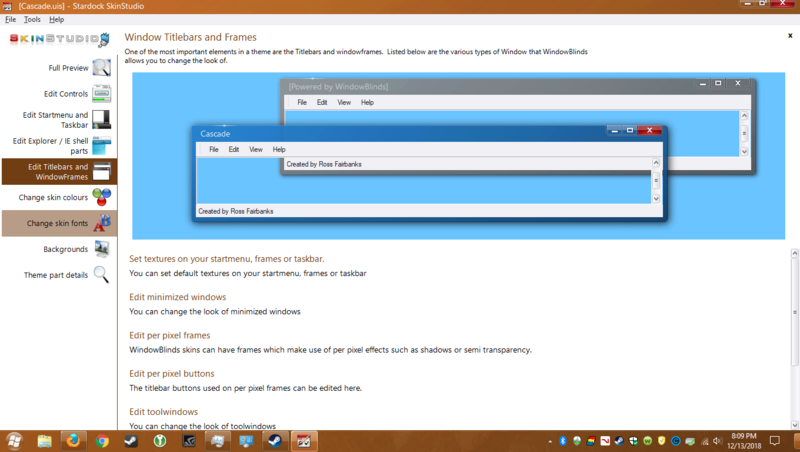 Just in case you missed it, you can just use Windowblinds configuration to adjust Windows Frame and Titlebar transparency. Checking "Force blur effect" also worked, thanks!